The outcome of Iran’s June 12 presidential election, which secured incumbent President Mahmoud Ahmadinejad’s position for another 4-year term, stirred up widespread controversy around the world and drew numerous condemnations, from German Chancellor Angela Merkel to the Muslim Canadian Congress. Yet there are several progressive analysts and former state officials in the E.U. and U.S. who have dared to jeopardize their public standing by explicitly taking the side of the Iranian government, and denouncing foreign intervention in Iran’s internal affairs and covert efforts to topple the Islamic Republic establishment. 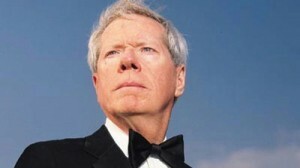 Paul Craig Roberts is among the prominent progressive pundits who have taken such a stand. An economist who served under President Ronald Reagan as Assistant Secretary of the Treasury, Roberts has been honored with the title of the “Father of Reaganomics”. Roberts has long been absent from the pages of the Washington Post, the New York Times, and the other mainstream corporate media, preferring instead to be an independent voice of political non-alignment. These days, you find him writing for Counterpunch.org, VDare.com, LewRockwell.com, and American Free Press, among others, and though his articles might not find much of a place in the mainstream media, his work is widely known and circulated worldwide. In my extensive discussion with Paul Craig Roberts, he insisted that there is “hard evidence” of U.S. efforts to carry on a color revolution in Iran. Your recent articles on the post-election unrest have been frequently translated and widely circulated in the Persian-language media outlets in Iran. Based on your evidence, conservative pundits claimed that Mir-Hossein Mousavi was a close associate of the American initiatives and the democratization institutes, particularly the National Endowment for Democracy, raising the funds of his campaign through their financial assistance. Have you been informed of any hard proof for this possible linkage, or is this only suspicion or possibility? The question my several columns addressed is U.S. participation in the protests following the recent Iranian election. There is hard evidence that the U.S. government had a hand in the protests. For example, neoconservative Kenneth Timmerman heads the Foundation for Democracy, which describes itself as “a private, non-profit organization established in 1995 with grants from the National Endowment for Democracy (NED) to promote democracy and internationally-recognized standards of human rights in Iran.” From various NED promoted “color revolutions”, as in Georgia and Ukraine, we know what that means. There are also numerous reports, such as the ones cited in my columns, that President George W. Bush signed an order in May 2007 for the CIA to mount a covert “black” propaganda and disinformation operation to destabilize and eventually topple the Iranian political regime. There are also a number of published reports that the U.S. government funds terrorist organizations within Iran that carry out assassinations and bombings. I have no inside information as to how the destabilization plan was implemented or whether Mousavi had any direct links to the PSYOPS activities. Timmerman, who should know as he is involved in the business, says NED money intended to promote a “color revolution” reached pro-Mousavi groups. Under America’s terrorism laws, this would make Mousavi guilty, and then there is the duck test. If it walks like a duck and quacks like a duck, the chances are high that it is a duck. Mousavi declared his victory while people were still voting, according to some accounts, or before the votes were counted, according to other accounts. The purpose of such a premature announcement is to produce an uproar in the event of a different outcome. Other obvious elements of orchestration are apparent. They suggest that groundwork was laid for protests and that the protests were not entirely spontaneous. According to a Washington Post report in 2007, then-President Bush was granted the authorization to spend some $400 million for activities ranging from espionage on Iran’s nuclear program to “supporting rebel groups opposed to the country’s ruling clerics”. While Mir-Hossein Mousavi had been an Iranian governmental insider, having served 8 year as a prime minister with close ties to some of the high-ranking clerics, could it be possible that his fans or his campaign associates might be ranked among the rebels who seek to topple the government? This question could only be answered by those involved in the destabilization plan. My opinion, based on what I understand at this time, is that there are Iranian youth, especially in Tehran, who are secularized and westernized and who find the Islamic moral code oppressive. I don’t know where these youth got the idea that Mousavi, “the Butcher of Beirut”, would lift the burden of this code from their personal lives; nevertheless, it appears that the backbone of the protests in terms of numbers in the streets was the group of disaffected youths. As for Mousavi and his powerful allies, such as Rafsanjani and Montazeri, I do not believe that their intention is to topple the government. These are ambitious and frustrated men who had lost out and wish to get back in the game. Making an issue of the elections was a way to do that. Moreover, these are men accused of corruption by Ahmadinejad. They would not want an uncontested government in place that might act against them on corruption charges. It is certainly possible that the CIA and the NED-funded-Iranians knew enough of the splits, ambitions, and animosities among the ruling class to exploit them. I don’t think there was a danger that the protests would topple the government. However, the protests have served the U.S. purpose of further discrediting and isolating the Iranian government, setting up Iran for more pressure or more sanctions or even a military attack.